Located among the town’s medieval streets and overlooking the harbour, Wexford Opera House is the multi award winning home to the internationally renowned Wexford Opera Festival. 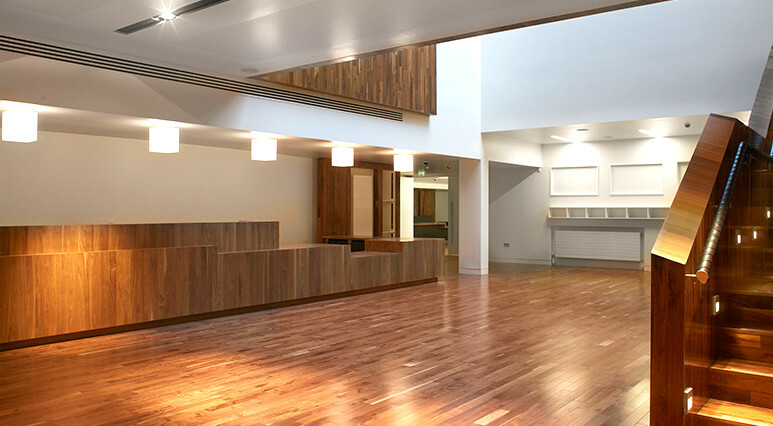 Woodfit completed extensive work across bars, breakout areas, circulation spaces and of course the two auditoria, one seating 175 and the other seating 708. 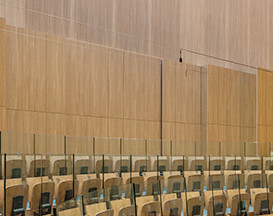 The centre piece of the build, the main auditorium, achieved outstanding acoustic properties through a collaboration between the architects team, Arup Acoustics and Woodfit Acoustics. Woodfit supplied absorptive, deflector and scattering panel treatments, a curved balcony and seating elements. Canadian Walnut was used to promote the best possible dark out and direct focus to the stage.